I have no idea if anyone has done this or has a How To, but I did not see it in the How To section so decided to do a quick how to while I did this little project today. So here's a quick run down. -One can of Engine paint/BBQ Paint/Radiator. -One box cutter or sharp precision blade. -Small roll of tape scotch/regular/whatever as long as it sticks. -Computer with Microsoft Word and a printer. -Something hard to cut on... Notebook/Thick Cardboard/Wood. -And of course an intercooler. 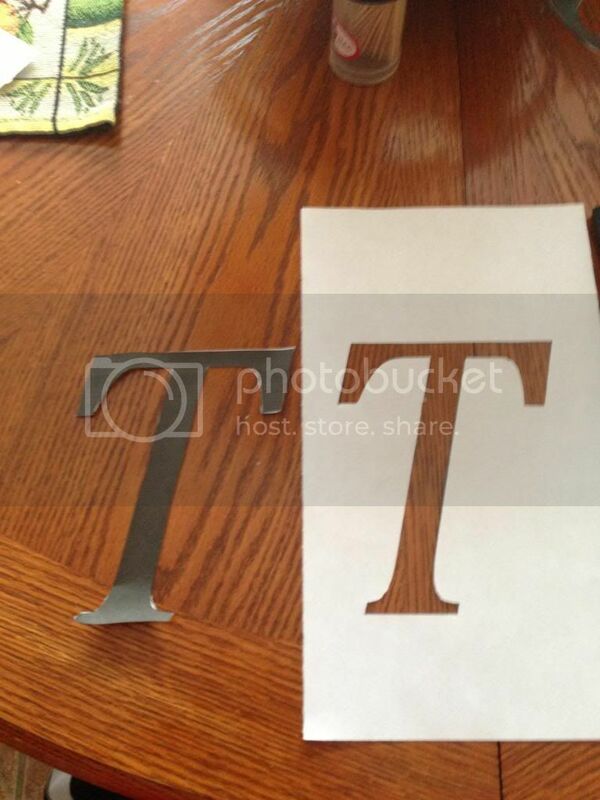 First of let me say that I am not responsible for any damages that you cause while cutting the letters out... Whether that be to you persons or property. 1. Your going to want to go to your computer and open up Microsoft Word. 2. 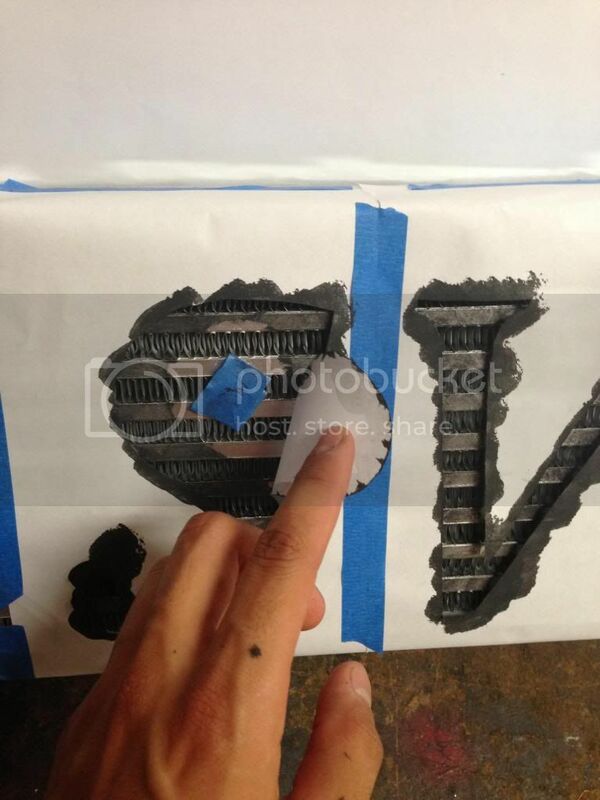 Open a new document and set your font to 500pt Cambria. 3. 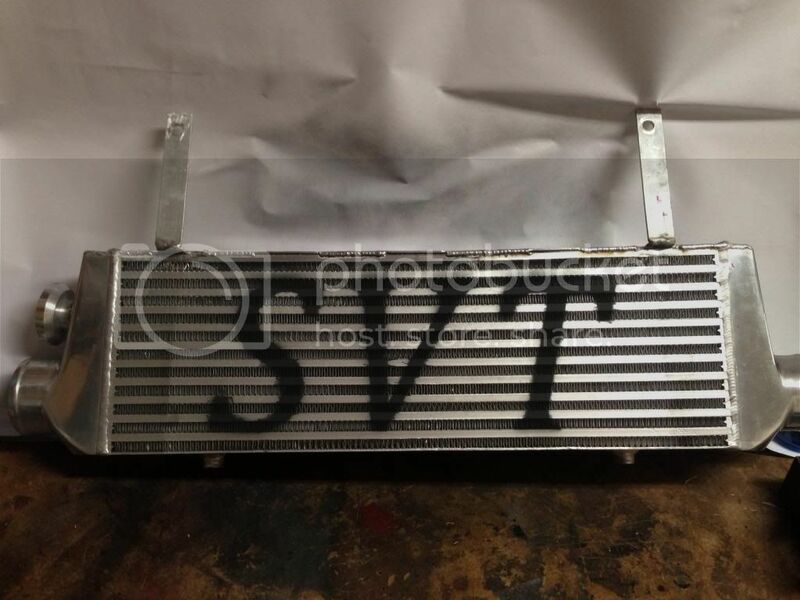 Type out SVT or whatever you desired on your intercooler. NOTE: 500pt font worked best for 3 letter words. If you choose longer words you will need to adjust the font to 400pt-450pt in order to make it fit correctly on the intercooler. 4. 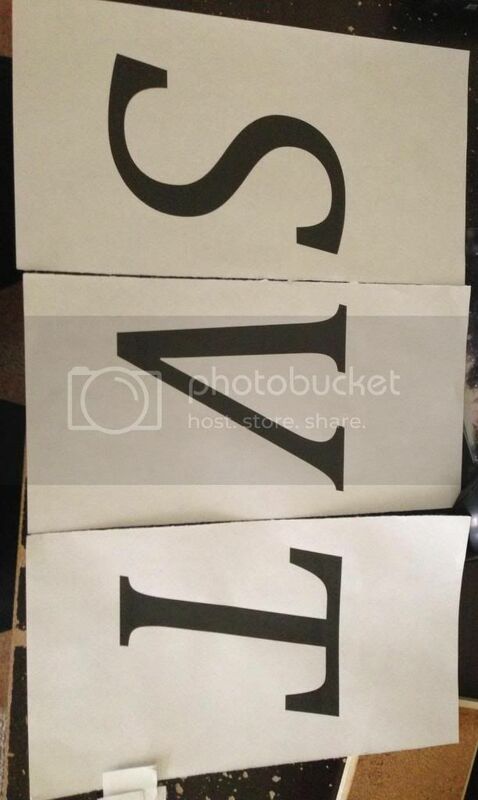 Print out each letter separately on a piece of computer paper. Also, you will need to remove about an inch from each side of paper in order to close the spacing in between the letters. 5. Next thing you want to do is cut each letter so only the outline is left so when you paint the shadow is painted on the intercooler. NOTE: Make sure you don't cut to much off because then you will need to reprint. 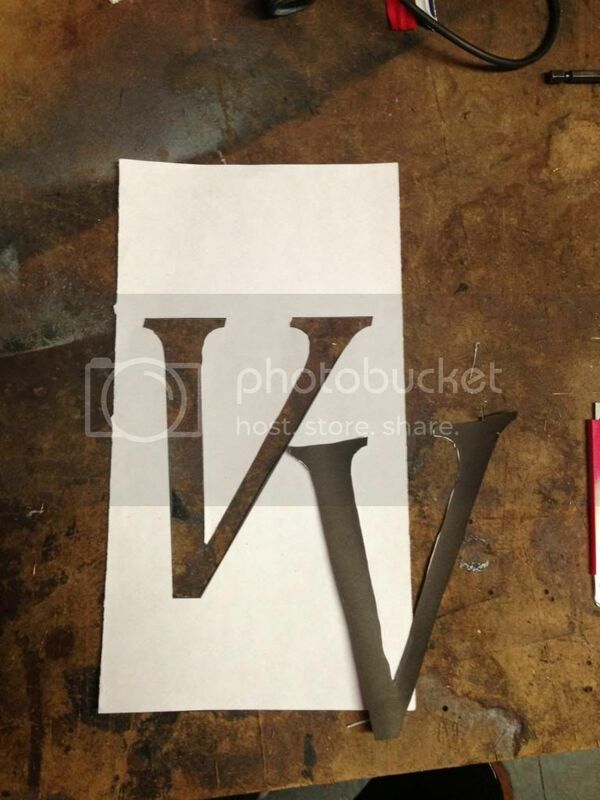 It's much easier to trim small imperfections off once you get the letter traced off the page. 6. 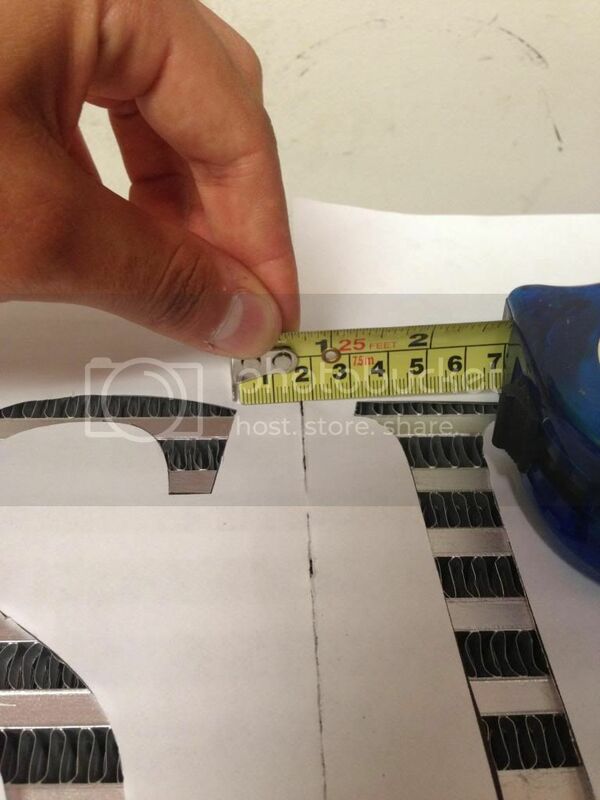 Now that we have the letters traced out and trimmed we can start to tape them to the intercooler. NOTE: If you look at the very bottom of the cut out T you will see the seperations on the intercooler i am refering to when i talk about lining up the letters. 7. I decided to do the T first... But you may start with S if you prefer. I lined of the letters with the Horizontal divisions that seperate the fins on the intercooler. 8. Continue to add the other letters next to the it while remembering to line up the bottoms of the letters on the same fin seperation in order to keep the letters straight. 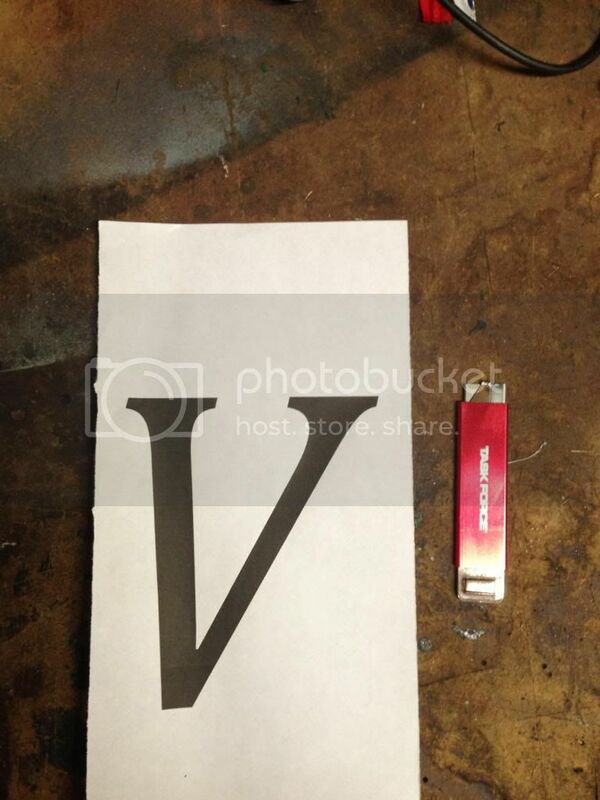 The space in between each letters was approx 3.2cm. 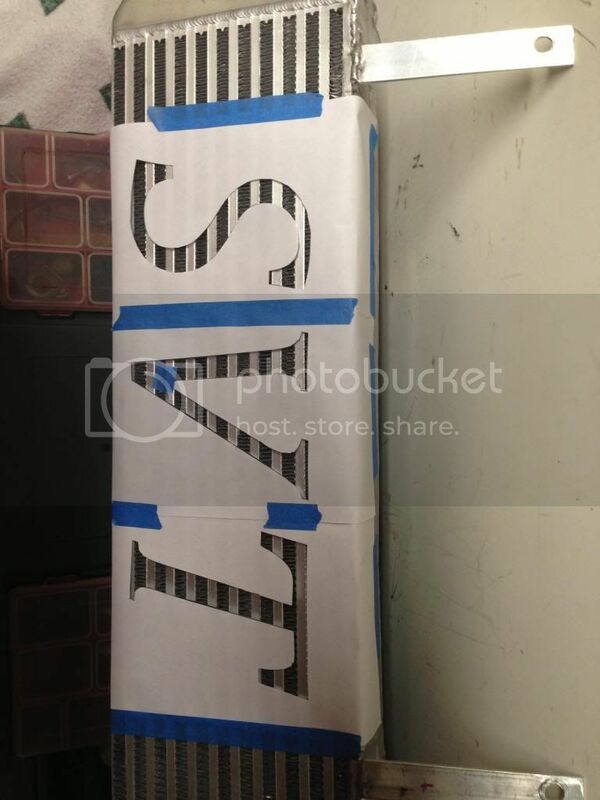 This semmed to be the optimal spacing in order to cover the most area with the letters but not overspacing them. 9. Tape all ends of the paper down to the intercooler so it doesn't move when the pressure of the paint coming out of the can/paint gun. 10. 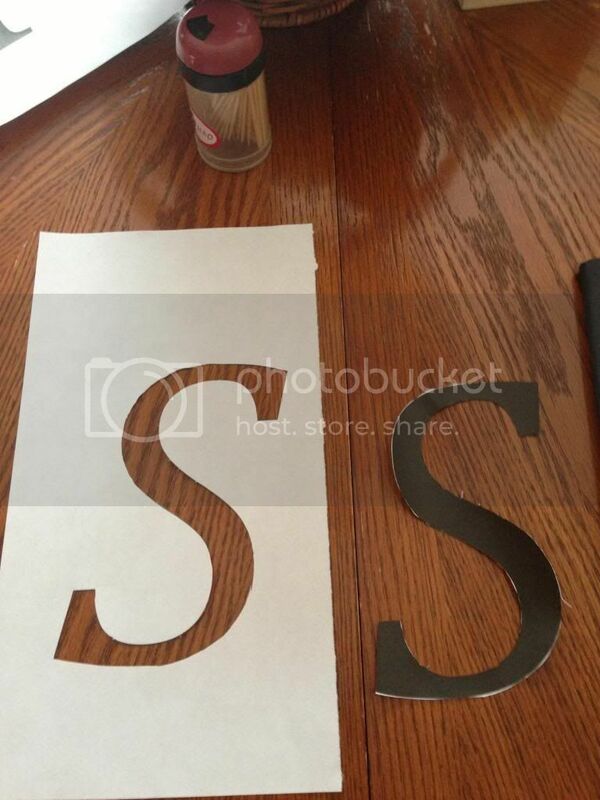 You will notice that even if you taped down the edges some of the inside pieces of the S, V, and T will still move like the 2 lumps in the S, the inside part of the V, and the internal walls of the T. Just go ahead and grab some tape, fold it over to make it "Double sided" and stick it on the pieces that move. By doing this you are not actually covering any part of the letter or intercooler that is going to get painted and it makes things 10x easier. NOTE: You will see that i dabbed paint onto the intercooler prior to fully painting it. I did this to make sure that everything was aligned and no paint was getting through the paper i was using and causing blotches on the other side of the paper from over spray. This step is OPTIONAL. 11. Now that everything is taped down good and you have checked to make sure no parts are going to move, go ahead and set up you painting area with some tarps or extra paper. 12. All set? Go ahead and blast that bad boy. IMPORTANT DO NOT SPRAY DIRECTLY AT THE INTERCOOLER! There is alot of debate on this but I do it as a precaution to not clog the fins. Paint it at a 45 degree angle to minimize decreasing intercooler effectiveness. 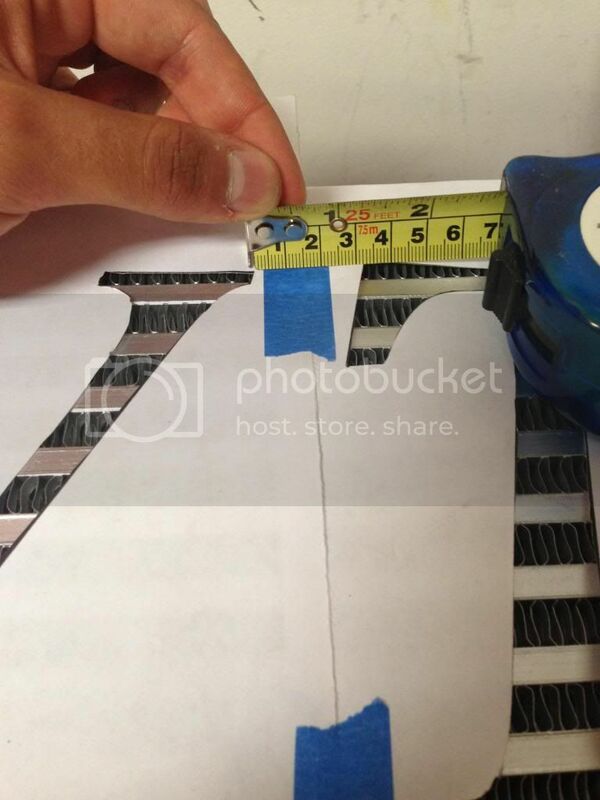 Start with a very light coat to triple check the movement of your taping and paper flaps. I did 3 light coats a 2-3minutes in between coats to allow time to reduce paint dripping. NOTE: There are alot of people saying that paint your intercooler decreases the cooling efficiency. I have seen alot of IAT taken before and after painting and the IAT's are basically identical. If anything the temp difference is so minimal(1-2 degrees) it won't even result in a .5hp loss. You may gladly research it as well. 13. Let the intercooler dry for about 45minutes and BAM. Got yourself a pretty new logo'd out intercooler. 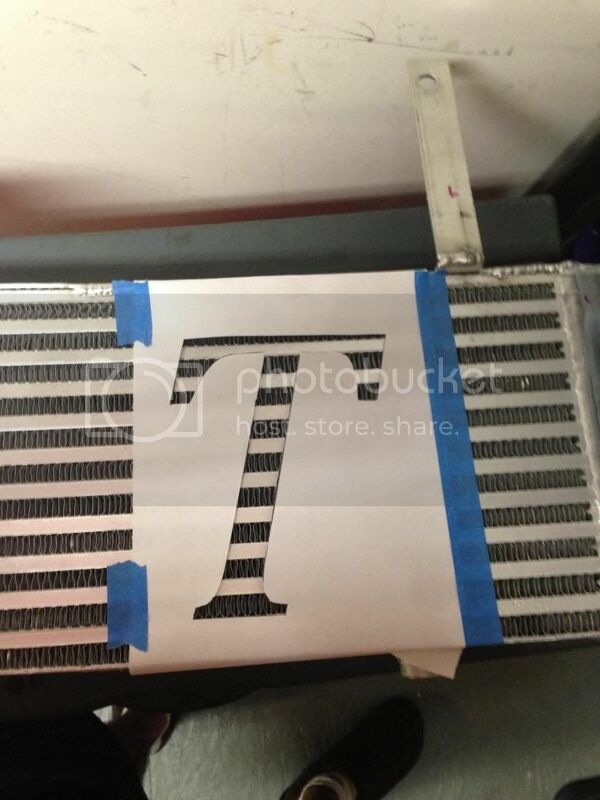 NOTE: This Is The Intercooler Included In Tim's Intercooler And Piping Kit. If I missed a step or you have any questions please let me know. Friends, where can I order a quality logo?